Lorrie Hollander used to be a rich girl who spent her money on boarding school and equestrian camp. But that was before. It's been twelve years since Lorrie's mother skipped town and left Lorrie and her sister in the care of their unstable Aunt Gigi. Together they live in a decaying mansion called Edgewater, the eyesore in a town of extraordinary wealth and privilege. While Lorrie is desperately trying to keep her family from collapse, she meets Charlie, the son of an esteemed senator. Terrified that he will learn the truth about her, she holds him at a distance. But Charlie's family is hiding something, too. And Lorrie could never have imagined how their secrets, and their lives, are inextricably bound. 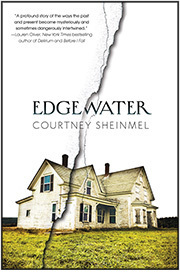 Courtney Sheinmel's Edgewater is a gripping story about scandal and romance, shame and redemption, and how one girl must come to terms with a shocking past in order to understand who she truly is. I'll definitely write you back...and I may even answer your question on my blog! 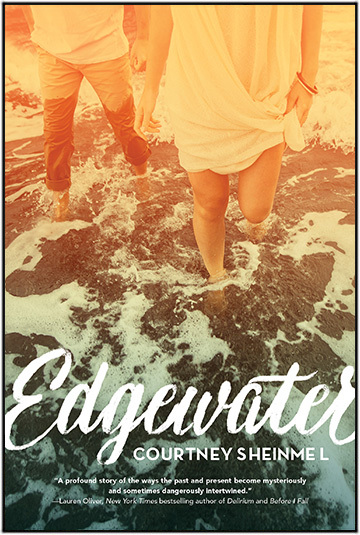 Please add Edgewater to your TBR (to-be-read) pile on GoodReads. 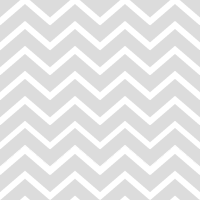 Check out the EDGEWATER Pinterest board. Listen to the EDGEWATER playlist on Spotify. Autographed copies of EDGEWATER can be ordered through McNally Jackson. You can also get them from online retailers (I recommend IndieBound) or by dropping by your local bookstore!